Of your many wedding expenses, photography is the one thing that increases in value over time. But too often, images are left to languish on a disc or computer. Even printed photos end up stored in cardboard boxes. That’s no way to treat your cherished memories. Once your big day is over, we offer much more than just a jumble of digital files on a disc. You paid for a professional to photograph your big day, why not enlist these same experts to ensure your images are gorgeously displayed? Carina Photographics makes it easy for you. After capturing every detail of your wedding day, we use our two decades of design expertise to create gorgeous heirloom artwork from your imagery. 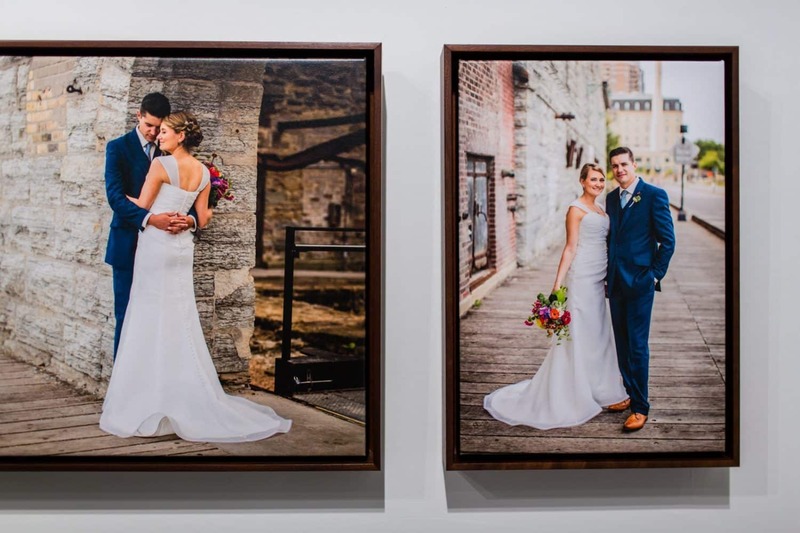 From artisan, custom-designed Minneapolis wedding photo albums to fine art wall portrait prints, to delicate handmade image boxes and more, our heirloom artwork items are made to last so they can be treasured for generations. Take a look at our amazing options! Our gorgeous photo albums are the pinnacle of our heirloom offerings. 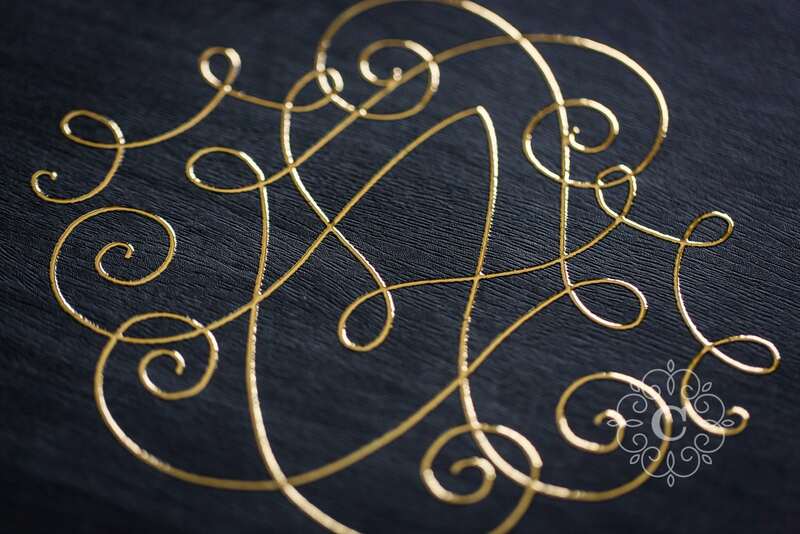 We partner with one of the most prestigious photo album artisans in the world to craft elegant, custom archival albums. 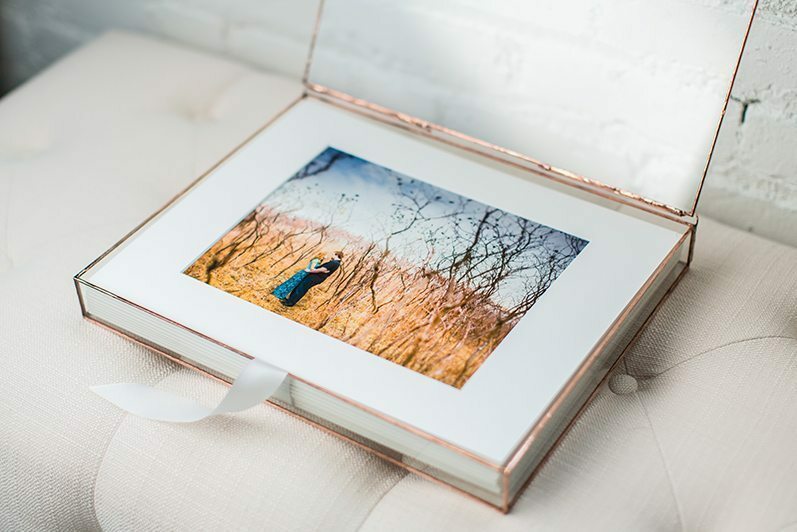 Our albums are bespoke, individually customized and tailored to your wedding aesthetics and personalities, and then carefully handmade by artisans in Italy. The quality is unsurpassed. 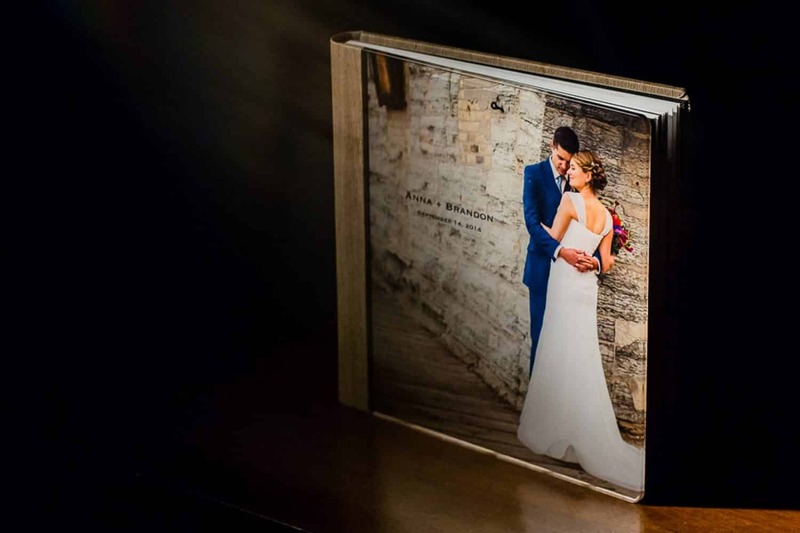 Unlike the popular but cheaply made photo books available from many other photographers and online vendors, our albums are dramatic, elegant and highly customizable, designed to be a unique expression of you and your special day. Your photo album will be cherished forever. You’ll page through it repeatedly over the years, share it with family and friends, and pass it on so it can be appreciated for years to come. When we meet for your Image Review Session (after your wedding or portrait session), we will discuss choices for your album and box materials and design. I have numerous samples to review and lots of swatches to choose from. Once you choose your favorite options, I custom-design an initial draft of your album layout. I send you a PDF file to review, as well as a 3D mockup of the album and box. You are free to make any edits you see fit. Once you are set on the design and layout, I send the electronic files and specs to my album crafters in Italy. Once the album is complete, they ship it to us and it's ready for you to cherish for generations! Adorn your home with love! Our fine art wall portraits can be showcased in your home to serve as a wonderful daily reminder of some of the most important people and moments of your life. Our wall art is available in several mediums. Choose from timeless prints, artistic canvas or modern metals. All are handcrafted heirlooms to be displayed and enjoyed for years to come. 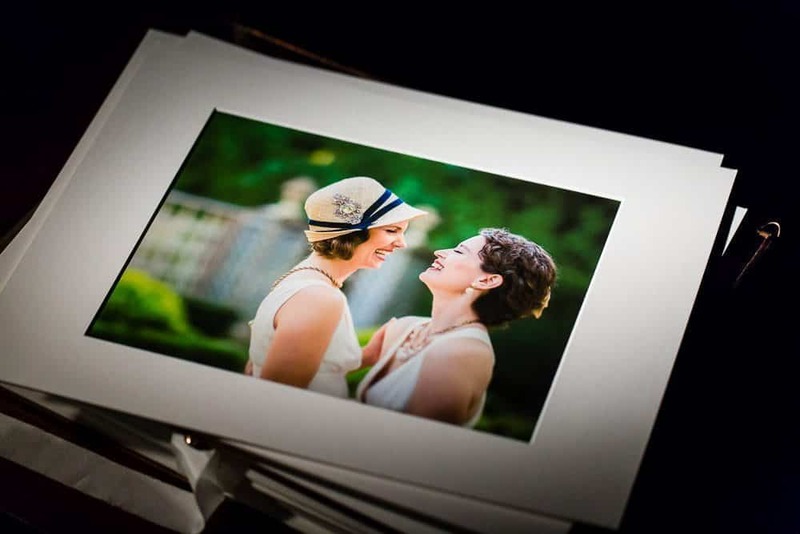 Your photographs deserve to be printed! An exquisite, handmade, foiled glass box is a novel medium for displaying your favorite photographs. They can be stored, displayed or gifted as beautiful keepsakes from your photo session. And these are no ordinary photographic prints — printed on Hahnemühle 100% cotton, acid-free and lignin-free, UV protected professional photo paper, our prints last up to 6x longer than traditional lustre photo prints. Not only that, but the colors pop, the detail is unsurpassed, and the quality is extraordinary. The photographs are finished, matted and ready for framing. Our handmade Heirloom Portfolio Boxes make perfect gifts for yourselves and loved ones. Our heirloom artwork doesn’t stop there. 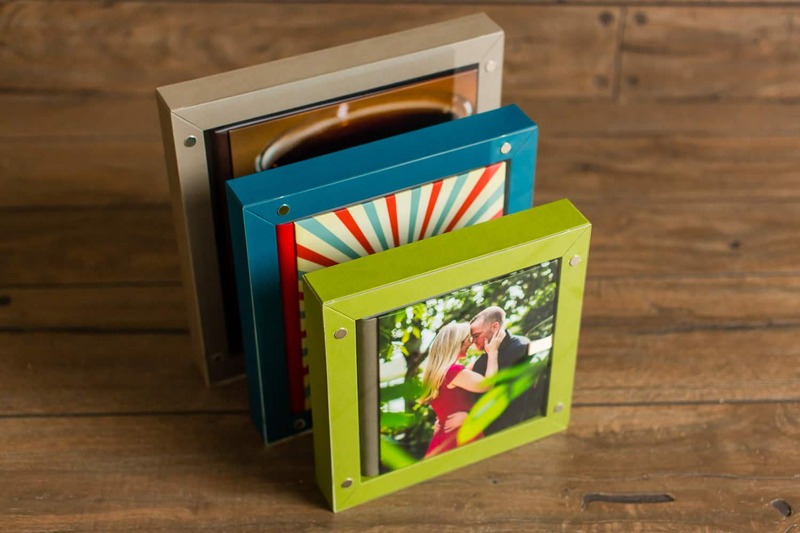 Beyond heirloom albums and our other items, we also offer a wide variety of options for almost any of your needs — engagement albums and guest books, custom-designed greeting cards and save-the-dates, gift prints, parent albums, apps, slideshows, and more! Every step of the way, we fully consult with you and manage production to provide the best possible heirloom art pieces and service so you don’t have to worry about a thing. All of our artwork includes a 100% Satisfaction Guarantee and many include a Lifetime Manufacturing Warranty. Contact me if you would like to visit my Minneapolis-St Paul photography studio and see some samples of these beautiful heirloom artwork options in person. There is nothing like holding them in your hands and seeing the gorgeous quality up close.